Rothbard.com is a website dedicated to the pursuit of liberty, in the tradition of Murray Rothbard. 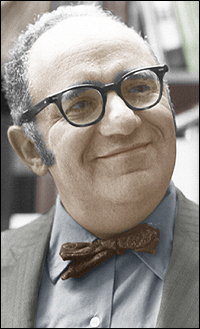 Murray Rothbard was the 20th century economist who fathered the modern libertarian movement. He combined the economic work of Ludwig von Mises with uncompromising libertarianism to create an incredibly compelling political theory. Namely, that each person should be free to live their lives however they please, so long as they do not interfere with the lives of others. This non-aggression principle is the core of libertarianism and, applied consistently, places libertarians firmly against the arbitrary will of government. It also leads to a free market economy that produces scientific advancement and high standards of living. Thus Rothbard dubbed his system anarcho-capitalism. Ever since, anarcho-capitalists have been fighting to protect people from government interference in their lives, be it taxation, regulation, imprisonment, or democide.